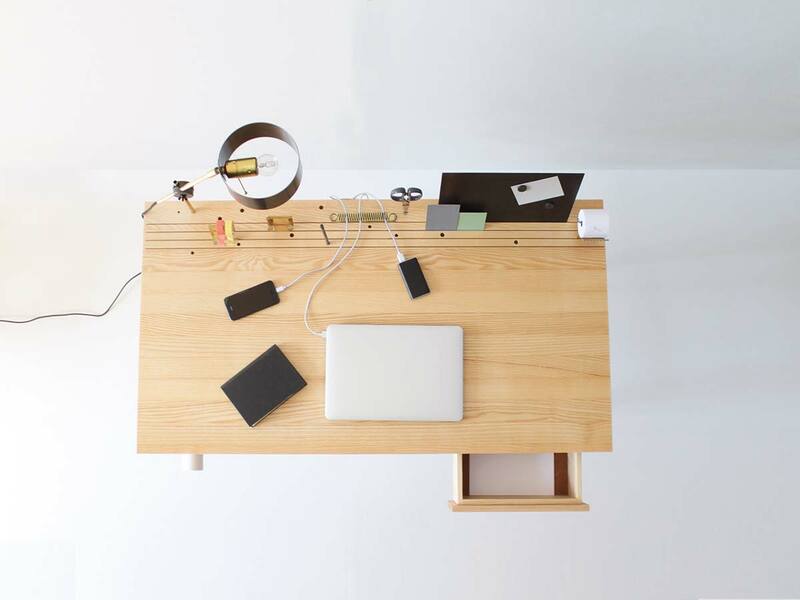 A desk inspired on the design of the ‘Back-to-Basic’ lamp. Just simple holes and notches offer the possibility to attach any other office tool that is needed. For instance the steel board, to put on notes with the help of magnets. You can store your tape and your mobile phone into the accessories folded out of brass. 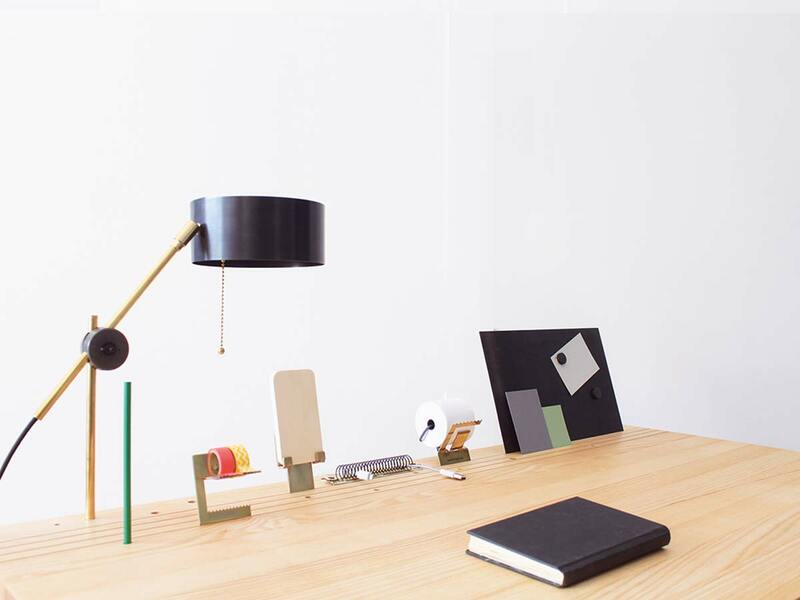 A desk lamp that can be arranged on any part of the desk through the holes made into the desktop. 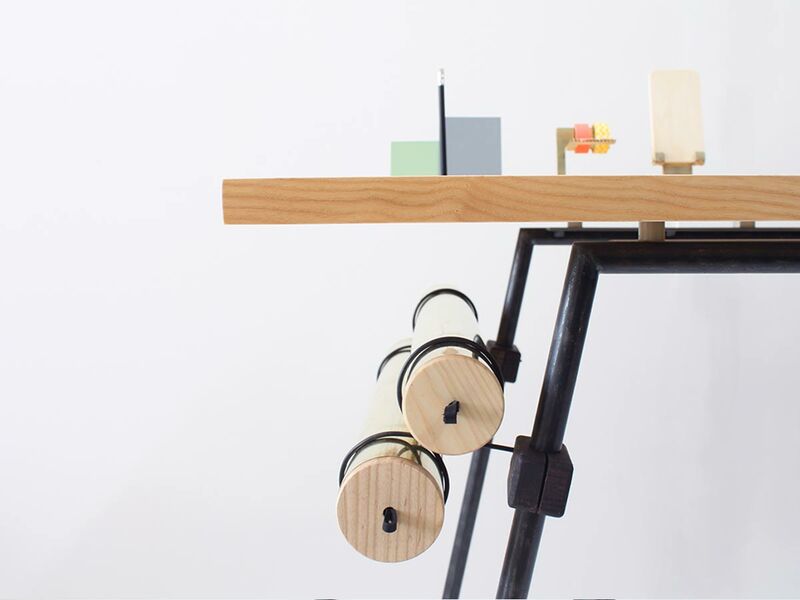 The desktop itself is made out of solid ash wood and carried by a blue steel tube construction. This completes the image of the pure, back to basic design. 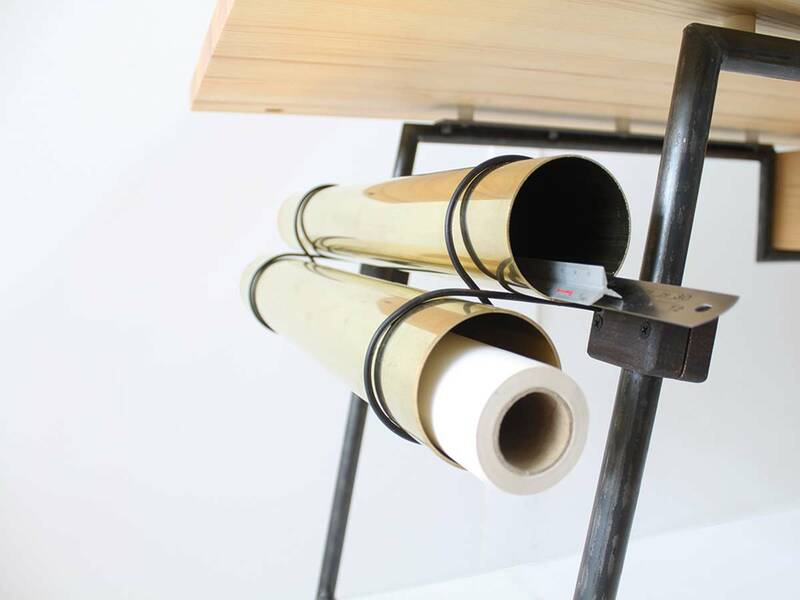 Objects often difficult to organise such as paper roll’s can be arranged onto the brass tubes. 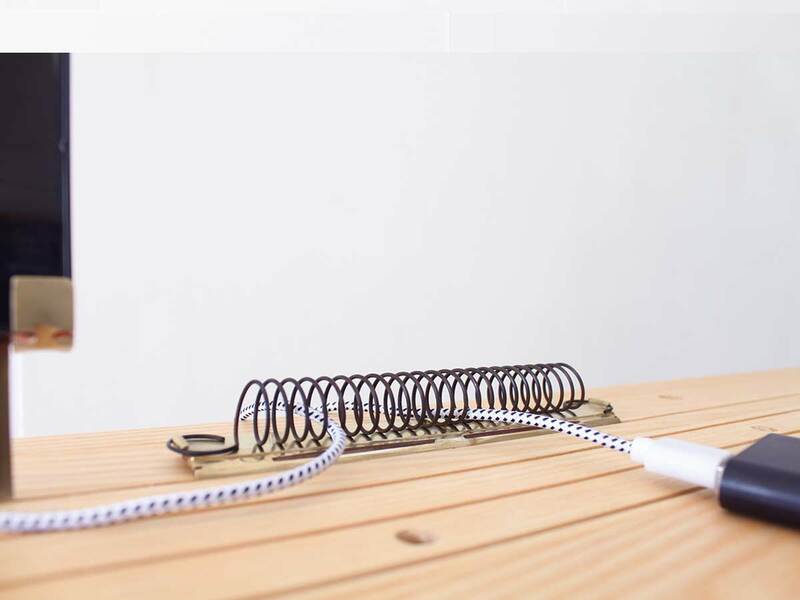 Wires of chargers can’t slip away any longer of the desk through the spring that is restringed on a brass plate. This design combines functionality and aesthetics in a surprising simplicity.